Our Authors Series brings noted baseball authors to Cooperstown for special lectures and book signings during the summer months. These programs are included with the cost of admission. 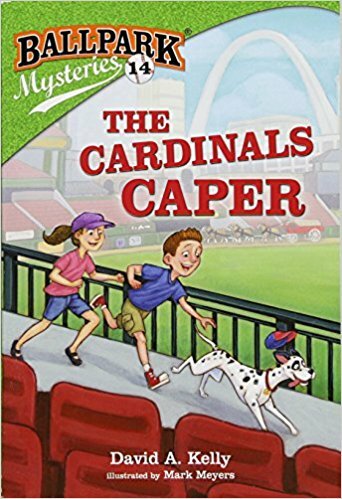 On Wednesday, June 27th at 1pm, the Hall of Fame will welcome author David Kelly to talk about his new book, Ballpark Mysteries: The Cardinals Caper. Prolific author David Kelly's latest presents the story of a special day in St. Louis, with a pregame celebration full of Clydesdale horses making their way around the stadium. Our fictional heroes, Mike and Kate, meet the horses and the Dalmatian that rides along with them. Then during the game, they find out the Dalmatian is missing. They rush to investigate and find a ransom note, which says that the criminal will return the dog in exchange for one of St. Louis' World Series trophies. The program includes a presentation in the Bullpen Theater, followed by a book signing in the Library Atrium. Presentation at 1 pm. Book signing at 1:30 pm.